According to a post by State Geologist Dr. Lee Allison, Governor Ducey wants to end the Arizona Geological Survey as an independent agency and transfer it to the University of Arizona. Apparently, this was a surprise to both AZGS and UofA. The Arizona Geological Survey was originally housed at the University of Arizona. While the Survey was formally established as an independent State agency in 1988, it retains strong collegial and logistical ties with University faculty and staff. Both engage in rigorous academic geoscience research that greatly benefits the state. For FY 2017, the Executive recommends consolidating the Arizona Geological Survey within the University of Arizona. This model, adopted by 20 states, is designed to enhance synergies by streamlining services and location of geological mapping data to better serve stakeholders. It presents potential for greater opportunities to successfully leverage research grant funding, can provide a direct pipeline of student researchers to the survey, and should help attract high-profile geologists. Serve as a primary source of geologic information to enhance public understanding of the State’s geologic character, geologic hazards and mineral resources. Inform, advise and assist the public in matters concerning the geological processes, materials and landscapes and the development and use of Arizona’s mineral resources. Encourage the prudent use of lands and mineral resources. Provide technical advice and assistance in geology to other State and local governmental agencies engaged in projects in which the geologic setting, character or mineral resources of the State are involved. Provide technical advice and assistance in geology to industry toward the wise development and use of Arizona’s mineral and land resources. The Arizona Geological Survey (AZGS) currently gets about 85% of its budget from outside grants and returns $4.50 for every state dollar spent according to their annual report. What will happen went AZGS is folded into the University bureaucracy? AZGS provides many valuable services. You can get an idea of what they do from their main website: http://www.azgs.az.gov/ and from their most recent annual report: http://repository.azgs.az.gov/uri_gin/azgs/dlio/1666. Personally, I find great value in the AZGS program of scanning and digitizing out-of-print reports and unpublished data from donated private collections. These data are then provided online for free download. Their geologic hazards program informs the public of potential dangers from earthquakes, landslides, and earth fissures. AZGS is the lead agency coordinating a nationwide geothermal energy database. This shows that the consolidation would not be a simple task. Many of my geologist friends are against this proposal. I spoke with other veterans of both eras of the geologic survey. The basic conclusion is that the reintegration is a very bad idea. Under the old university-controlled system, focus was on academic geology designed mainly to aid tenure-tracked PhD students. The survey was also adversely affected by political intrigues within the university system. 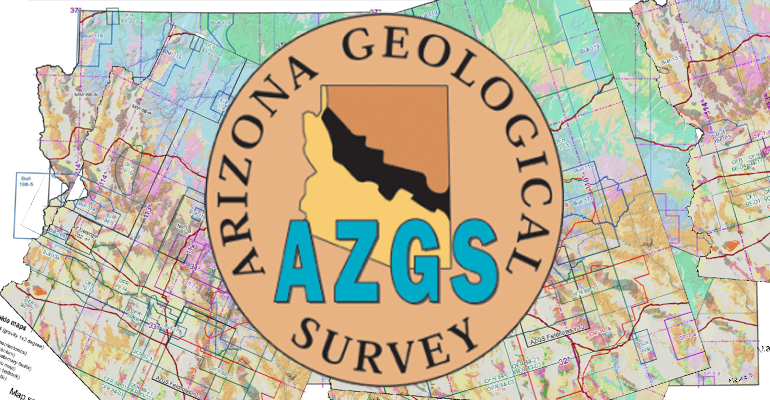 As an independent agency, the AZGS is focused on public service, i.e., practical applied geology. There current products help home-owners, developers, industry, and other state agencies. Also, as you may guess, it’s about the money. Grant money goes to the contracted study and to “indirect costs.” The university system tends to syphon off much more “indirect costs” than does the independent agency. What kind of survey do you want? The Arizona Daily Star reported last Sunday that “UA drastically cuts growth goals for research.” It looks like UofA is not in position to take on a major new project. (Or would they like to have more money for “indirect costs”? I also emailed Gov. Ducey and asked What prompted this move? Do you anticipate saving money? If so how much? I am a registered professional geologist and regard the AZGS working very well as is. As of this writing, I have received no response. The change will require permission of the state legislature. AZGS duties are specified by State statute here. AZGS seems to be performing those specified duties quite nicely. In my opinion, if it ain’t broke, don’t fix it. 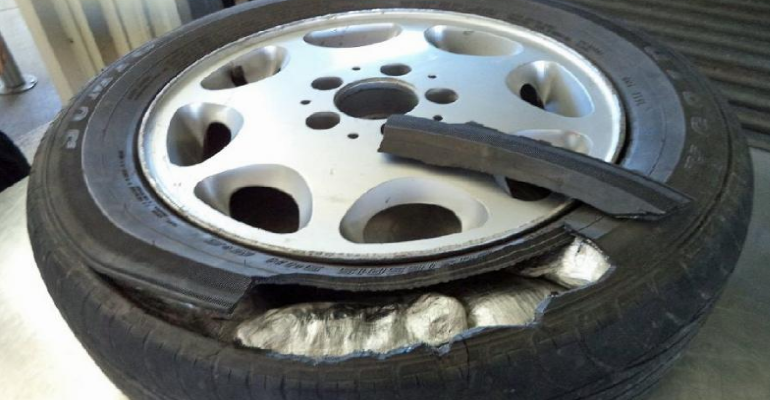 When Is A Spare Tire Worth More Than $380,000? Considering the U of A was bought off by Rosemont Copper to say how great is was, this is a bad idea. It can happen again. As one who has worked as a geologist for more than 40 years, I agree with Mr. Duhamel’s assessment. I have worked closely with the Arizona Geological Survey for many years. Today’s survey is considerably more responsive to the needs of Arizonans than it was when it was a part of the University of Arizona. As an small independent agency, it has been able to minimize its administrative costs and use much more of its limited budget to do its core mission. I fear university administrative costs will consume much of the funding the Arizona Geological Survey receives from outside grants, leaving little to serve the citizens of Arizona. Arizonans will receive a better return for their tax dollars if the Arizona Geological Survey remains an independent agency. Governor Ducey…please visit AZGS, take a tour of the facilities in both Tucson and Phoenix, talk with the scientists who work there, and then with the public who come to this agency to find out about the geology and mineral deposits of Arizona including developers afraid they’ll build over some geologic hazard. AZGS is doing a great job to contribute to their own funding. The work will be far less when UA starts taking 50% as OH&G. Ducey’s proposed merger of the Arizona Geological Survey with the U of A is one more example of the increasing neglect of applied geology by government across the U.S. You and Briggs have made a strong case for maintaining the Survey in its present form, but I doubt that practical considerations will determine what happens in this matter.